Here is a picture of my son Jaymeson who is almost 4. He is showing off his karate medal. 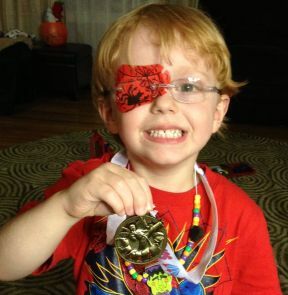 He has Refractive Amblyopia and has been patching for about 7 months.